Work for IBM Digital Commerce? Learning about IBM Digital Commerce? "IBM Digital Commerce "Review of WebSphere Commerce from developer eye""
IBM Digital Commerce has many good features but here are some of the best features that I like and how they have been useful to me. Websphere commerce provides efficient contract pricing. It helps a lot in handling prices for different business. Catalog filtering is one of the best feature WebSphere Commerce has, as it helps me to filter and show only those products that the customer is entitled with. Putting aside the features there are some things that I don't like about IBM Digital Commerce. Promotion module customizations are a bit difficult to customize needs to be simplified. Else there is nothing to dislike about IBM Digital Commerce. They are one of the leading software provider on the market. I would definitely recommend to go with IBM Digital Commerce since it is well suited if multiple sites are required based on geography, for branding, large customers. also for the B2B model to handle different pricing and catalog filters for each business. It has excellent catalog tools, segmentation, and marketing tools. It is very friendly for users but at the same time very powerful too. At my organization which is a consulting firm, I work in providing WebSphere commerce implementation to my company's clients. Websphere Commerce helps me in designing and implementing e-commerce solutions for all my company's clients, providing them with omnichannel experience thereby providing the advantages like one view of inventory, buy online pick up in store, single view of orders placed across all channels etc. Apart from that, we also provide maintenance of the customer's existing eCommerce site. "IBM Digital Commerce Review"WebSphere Commerce developer""
Here are some of the features that were useful to me and have deemed them best for my use-case. Scalability: Since WebSphere Commerce is based on WebSphere Application Server, it's scalable just like WAS. The support team is a pleasure to work with. They quickly get back to you and are knowledgeable of the product. I learned quite a lot when I started with the product. It's a robust software,once it's up and running similar to WAS. It's really quick to get the store up data and running based on the sample store and the data they provided. Just as there is two side of a coin so does IBM Digital Commerce. Here are some things that I don't like. Business tools are quite difficult to use. Hence there is a bit of a learning curve for non-technical users. Since WCS depends on WAS, it's lagging behind the latest WAS version. 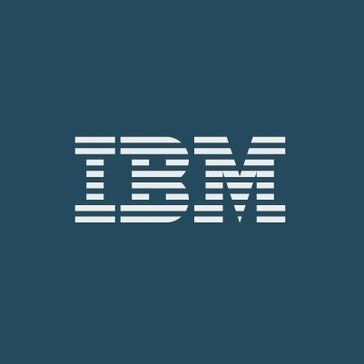 I would definitely recommend using IBM Digital Commerce, I think it's well suited for customers who are looking to sell products online that need robustness and Scalability as their priority. I work for a consultant company, as such we provide solutions using Web Sphere commerce to clients. We provide full services like design, install, configuration, customization to our clients. The most common problems that I solve of our clients is that they want to grow their eCommerce platform and WebSphere Commerce helps me delivering it to them. My clients come from different background some with manufacturing industries, automotive, but most of them appear from the apparel and fashion industry. Using WebSphere Commerce I help my clients to grow their eCommerce business. To sometimes use more than 1 console to perform some admin tasks. But i understand they are being consolidated into one. best business tooling in the market. headless (decoupled) front end. All interactions are thru rest services. Easy to work on front end by Jquery users. Excellent catalog tools. Excellent segmentation and marketing tools. Very friendly for business users but at the same time very powerful Like the ability to support all business models, B2C and B2B with the same tooling which cuts training time. Also that it is tightly integrated with a great OMS and cloud based cognitive offerings. We are helping our customers have access to a world class commerce platform that supports both B2C and B2B. It is tightly coupled with the best OMS in the market today, IBM Sterling Order Management for a true Omni-channel experience. Also it is a platform that today supports the integration with cognitive tools to help practitioners make better and faster decisions. Also integrates with several other best of breed offerings for digital marketing and customer experience. I am also helping customers segment and better understand their customer and help them engage in meaningful interactions and increase customer retention. "Reliable platform, but the front end forces customers to a rigid design"
I think the catalog, promotions engine, and template builder are very intuitive. I also think IBM did a great job with their knowledge center. Whenever business stakeholders have questions, that KC is very powerful. Advanced front end personalization can be tough on IBM WCS. For example, if we wanted to manually sort colors on the Product Detail Page unique to each product, we are unable to do so since the platform has a universal order of colors in that all products have to abide by the same order. IBM is the eCommerce platform for our Fortune 500 website. "Easily scalable product management tool, as well as consumer insight"
The plugin integrates well with third party payments which makes it easy to use different cards for a variety of people or organizations. The eMarketing spot is a little confusing and it can almost either be simplified or it feels as if there is too much going on / too chaotic. It is good for people who are selling products through ecommerce and looking to see the analytics of those products to be able to scale what is selling/what isn't, etc. The business problems being solved are creating and maintaining ecommerce sites, and fixing problems such as purchasing products, inventory inquiries, understanding what orders must be filled/what were placed, etc. Solves the functionalities of ecommerce sites through a back-end office. "Rich in features, Well Matured on eCommerce space"
-IBM Websphere commerce exists for ages and its well matured eCommerce framework. -Offers a full fledged features over the years which any of its competitors cant beat, especially its B2B capabilities. -Developer friendly, easy to customize on most of the functionalities except DSL. -Its info center has documentation on almost for everything. -Its B2B and contract related features are one of the strong plus for it. -Its B2C features set also fully competitive in the industry. -no proper documentations for installation/upgrades. -Still uses old UI technologies. -The data service layer customizations are not easy and straightforward. -Admin tasks could be made easy to setup. -Can use some new UI technologies. -The data service layer customizations are not easy and straightforward so it can be improved. Hello! I appreciate you sharing your experience with IBM WebSphere Commerce. It sounds like you've seen a lot of great results with the tool. Have you familiarized yourself with WebSphere Commerce Version 9? Check it out: https://ibm.co/2FmKjNl Thank you again! "The most power full Commerce System "
IBM Digital Commerce is delivering from our point of view the best variaty of marketing, pricing and business functions. With IBM Precision Marketing your are able to set up more than 60 different Promotion types and all this is empeded in an dynamic framework to target and segment users. This can be done easiliy by the enduser. The basket and checkout is able to handle complex proecesses and the order and contract framework is made to be fitting for nearly all circumstances. Due all the possibiliities you need skilled persons, which are understanding complex business frameworks. But this is obvious. Using it to sell through out all channels with one interaction platform. Hi Joubin! Thank you for your review. We appreciate you sharing your positive feedback. "Great Cloud Based System for Sales"
The best thing about IBM Digital Commerce is that it is cloud based, so the console can be accessed on a variety of devices and systems. I dislike that it is pre-eminently used for business to consumer sales. I would like to see a more business driven product. I would recommend this product if you are looking for a cloud based solution for business to consumer digital sales. I didn't have to build the IT infrastructure for making digital sales myself for this product. It is cloud based, and I can keep track of it 24/7 even from home. "IBM Digital Commerce is in a class of its own!" IBM Digital Commerce brings together best-in-class e-commerce, order management, pricing, quoting and configuration capabilities as well as web analytics to create an extended commerce platform. The e-Marketing spots contain content associated with marketing activities to target customer segment - needs some improvement. The algorithm to set up the priority of each of the Web Activity with in eMarketing spot is little bit confusing. Digital Commerce offers a sample store to help brands get to market quickly. You can add stores that are aimed at different audiences. For example, you can customize the experience for different brands or market segments. You can enable Digital Commerce with integrations for various payment, tax, social commerce, email, fraud check, and other ISV solutions. "Great features but poor in practice"
Platform has some great features including personalisation, activities and promotions. Far too complicated process to enable personalisation. Adding assets to content is laborious. Getting content onto page is complex and not very user friendly. Terminology differences between different parts of digital commerce adds to confusion. Looks like different parts of platform were written by different teams. Uploading assets can only be done if using an old version of a browser. User interface only works if using a different browser. Dynamic population of categories by product attributes are not possible. Little to no plugins for external marketing and analytics solutions (PayPal, Groupon, Shopping feeds, Amazon etc). No user login identity saved against changes to settings. No rollback to previous historical points. Just not very user friendly! Consider what you want from an e-commerce platform before considering IBM Digital Commerce. Digital Commerce has lots of great features but it's awful user interface makes using many of the features very painful and in no way intuitive. We have a transactional website. We're sorry that we weren't able to deliver the experience you expected. We are constantly seeking input like yours to iterate and add/improve features and capabilities seamlessly, without disrupting our users. "marketing and agility with ibm digital commerce"
when I started using ibm digital commerce I subscribed its resources, but soon I saw how easy it was, to create my virtual store, hosted in a cloud and with security, what I liked the most was the proganda and the marketing that made me reach many clients, their AI tools, it saved me time to think about solutions for my store. all tools helped me, I have none against. made me gain time, before doing all marketing and advertising alone, ibm's IA system helped me. "IBM Digital commerce review "
The best part of this product is how easy it is to learn. I have used several digital commerce products before, but this is the easiest learn. Definelty the only one I’d recommend to other. It can be very difficult to creat custom business tools. Custom business tools are essential in this era of retail and marketing, and the inability and difficulty to create custom business tools can be a big disadvantage to this program. IBM digital commerce has allowed the company to perform on a much larger scale. The product is able to compete orders on a much larger basis, and functions in all parts of the order. If you are looking to upgrade to a larger scale, be sure to use IBM digital commerce. "Easy to manage, versatile features and comes with great DB schema platform for eCommerce solution!!!" 1. Provisioning up a storefront is relatively quick and painless. IBM provides "starter stores", which can be installed, re-configured and extended upon. 2. The custom WCF tags allow for us to convert a java object into JSON. 3. Very minimum time and effort to bring up a brand new site. 4. Created site is scalable and powerful to support high transaction volumes. 6. Underlying structure is well thought out. 7. The management center is easy to use, lots of versatile features. 8. The product can address e-commerce business requirements of small firms to Fortune 100 firms. 9. It is easy to integrate into our clients other business systems. It has impressive Cross-Channel selling capabilities for Retailers. 10. It is a platform that our clients deploy and continue to build on top of to address evolving/growing e-commerce business requirements and initiatives. 11. I like that the stack is provided and fairly ridged. 12. I really like how the platform is built as an OOTB solution businesses can implement. IBM Websphere Commerce supports B2C and B2B business models; in addition, extended sites allow different front end customization using the same assets and business logic. 13. I like that the DB schema makes sense. A lot of times, I'm not sure what table something is stored in, and I immediately try the right one. I also like the REST support features. A lot of our front-end work calls RESTful web services. 1. The server loading times is terrible. It also seems clunky when trying to debug. Sometimes it works great and other times, it has big issues causing me to have to restart my server (which as previously mentioned, takes a long while). 3. Site stability and scalability related problem. 4. Setting up a WCS environment is very tedious. 5. High licensing costs,limiting the ability to obtain high market share. 6. It is a complex platform that serves enterprise level customers; difficult for small businesses to use and support. 7. I dislike how some features are obviously antiquated an unnecessarily complex and counter-intuitive. 8. A lot of the documentation is very verbose. It would be nice if there were some quick start articles to help. 9. I don't believe IBM as yet figured out the SaaS licencing model. The solution is strong technically, but the pricing doesn't work for most of my clients. 10. I believe IBM could do a better job integrating WebSphere Commerce and WebSphere Portal. The two products provide an excellent user experience, but the out-of-the-box integration is weak. If you are in the process of vetting eCommerce platforms, I highly recommend you investigate IBM WebSphere Commerce as an option. While I have listed several disadvantages around the implementation, they can be mitigated through leveraging IBM and their business partners. You will need to evaluate how much customization and extension is needed to meet your requirements. 2. We have a full online commerce site. The benefit of WebSphere Commerce is that we get a scaffold out-of-the-box with not a lot of leg work. This allows us to start the important development code first. Thank you for your comments and positive feedback. It's great to hear IBM WebSphere Commerce is helping your business drive a more seamless and differentiated online experience for your customers. IBM now offers choice in deployment and pricing options to meet the needs of our clients, from on-premise to SaaS. Please contact us for more information on our different consumption and pricing models. "IBM Websphere Commerce - the best in the world of digital commerce"
One outstanding feature of IBM WebSphere commerce is the promotion engine. It helps in accurate marketing initiatives and dynamic market segmentation based on the insights gained from behavioral traits of shoppers. End users can also set up promotion and segmentation rules simply using drag and drop features of the component icons. Both B-T-C and B-T-B components are housed in a single starter store template, which is a great feature for companies with both B-T-C and B-T-B market. The template is enhanced with new capabilities that support custom development and integration with other third party systems. The product information management feature is somewhat primitive and it needs enhancement to make it attractive. The template for User Interface coding could be improved to provide the developers ease of use. Great software. Its in the same league as Oracle ATG and SAP Hibris. I would say go for IBM Webshere Commerce as its really easy to use and has the functionality to support industry best practices. The support provided by IBM is great. Thank you for your feedback. It's great to hear IBM WebSphere Commerce is helping your business drive a more seamless and differentiated online experience for your customers. We are continuously taking user feedback into consideration as IBM is committed to delivering an agile ecommerce platform that is easy to use and customize for our clients. I have professionally used the tool for close to 2 years and have found it robust and highly customizable. It has the capability of publishing products through a management center which I found very handy and can be used by any one even if he/she has a lesser experience about the suite. The database is customizable too and with the help of that you can extend the suite to any height. Overall, I find the the whole suite great for any commercial purpose. I disliked the slowness in the content manager. IT is highly recommendable for organizations of any size. Rolling out multiple stores in a day. The extensible nature of suite is helping a lot along with providing enough security configurations for each stores. I think the catalog, promotions engine, and template builder are very intuitive. It is very friendly and very. Powerful segmentation and placement of promotional content on the different sections of the site powerful. To sometimes use more than 1 console to perform some admin tasks. Except that it works like a charm. It is a platform that today supports the integration with cognitive tools to help practitioners make better and faster decisions. Also integrates with several other best of breed offerings for digital marketing and customer experience. I am also helping customers segment and better understand their customer and help them engage in meaningful interactions and increase customer retention. "IBM Websphere Commerce - Truly scalable if you do it right." I love the amount of versatility this product provides. Our business site makes use of the both AURORA B2B and B2C sites, which works seamlessly together. Customization is another strong point of this product. Promotion engine and analytic on the Commerce Insights tells its going in the right direction. Having to use windows for toolkit is a problem. Linux compatibility for toolkit will be very nice to have. WAS server is very slow at times. Debugging gets very sluggish and slow because of it. Starting from a small e commerce website, my company invested in to Websphere commerce. As our customers grew, this product scaled with no issues. Just make sure your customizations are done right. If you spend time and effort on this product, you will definitely reap the exponential benefits in the future. Thank you for your positive feedback. It's great to hear how IBM WebSphere Commerce has been able to support your online business growth! We are continuously taking user feedback into consideration as we make updates to our eCommerce platform. "get a complete experience buying for the customer"
IBM Digital Commerce gives you the speed and flexibility to keep pace with rapidly changing customer preferences and markets, and leverages Watson with artificial intelligence to personalize engagement and deliver insights about your customers and business. With Websphere v9 the procut is begining to fix a large of the issues with deployment and installation, but as found by myself and others in different companies the product is still unfinished, untested, and is missing confguration options within the Docker contaienrs for support. The websphere prodcut still riles on RAD, does not allow modern developer coding practices , standards and life cycles. The difficulty of use is extermely high and the tools provided for development are very unstable. Sale of parts and accessories. Thank you for your feedback, input like this helps us prioritize development efforts and future enhancements. IBM WebSphere Commerce has provided industry leading omni-channel commerce capabilities to brands around the world for over 20 years. Some of the largest brands and retailers rely on WebSphere commerce for it's reliability, scalability and robust commerce functionality. You are correct the developer environment does rely on IBM Rational Application Developer (RAD), but we are working to provide other options like Eclipse. Also, with V9 we modernized much of the architecture and technology, including moving to a microservices approach, migrating all our EJB's to entities to the Java Persistence API (JPA) and rewriting the starter store with jQuery. We believe these enhancements coupled with the use of Docker to containerize the various components of WebSphere Commerce help simplify the application development, deployment and management process, reducing total cost of ownership for you WebSphere Commerce platform. "Difficult for a typical business user trying to manage the store"
There are a lot of options to customize content spots, layouts, e-marketing activities. There are built in segment options and promotions. With an abundance of options comes a busy and unintuitive interface, slow load and save times, a slow preview experience. It's extremely difficult to be agile and make quick changes to your shop. Go elsewhere, unless you have a business resource that is well-trained and dedicated to managing content on the platform 100% of their time. We're trying to encourage repeat customers and would like to introduce features like Subscribe and Save and recurring orders, better predictive intelligence. We haven't really seen many benefits to this platform. We appreciate you sharing your comments and feedback. We're sorry to hear about the slow load time and preview experience. IBM is committed to delivering an agile ecommerce platform that is easy to use and customize. We continue to improve the UI by designing for the practitioner and have added new capabilities embedded with analytics and cognitive thinking, such as Watson Content Hub and Watson Commerce Insights. Quick, convenient and reliable most days. There are days IBM software is rendered unresponsive or "freezes up". Good Network Connection Ais key. I wish the interface was more user friendly, touch input is key. I want a all in one experience, Returns and sales all in one spot for my customer, this saves time and money. Sales methods ie: currency acceptance. I love that is it very streamlined and user friendly for not only the company but for customers as well. Sometimes it can be glitchy when placing orders or fulfilling but that can be said for any system really. "Robust plattform por B2C & B2B initiatives "
Working with the front-end development of Websphere commerce in Aurora starter store is hard. "We are using 'websphere commerce for our retail/omnichannel strategy"
We rely on IBMs quality and experience. Also we know it is possible to increase our capacity with IBM products. The information available (aside if the knowkedge center) is not enough for our employees to auto learn on how to use the platform. Very har d to implement with preexisting systems. Code Implementing partners are reducen in Mexico. Online store and omnichannel orchestration. Thank you for the shout out on our commerce experience, quality, and ability to scale. We pride ourselves on delivering robust and reliable commerce solutions with broad capabilities to meet diverse requirements of brands around the world. However, we can only get better if our clients tell us where we need to improve so we appreciate your feedback. As you mentioned, IBM knowledge center (https://www.ibm.com/support/knowledgecenter/en/SSZLC2/landing/wc_welcome.html) is a great resource and is constantly being updated with new content and tutorials on getting started, implementing and configuring WebSphere Commerce. I also recommend you visit IBM Developer Works (https://www.ibm.com/developerworks/) for WebSphere Commerce articles and how to documents, as well as IBM Support (https://www.ibm.com/support/home/product/K790669G74134Q50/WebSphere_Commerce_Enterprise) for training, tools and support forums. IBM has a wide business partner network with certified WebSphere Commerce system integrators around the world, including Latin America with Avatar, EdgeBound, sysPrice, iProgrammers. If you need help connecting with an certified business partner please reach out to us again. "IBM WebSphere Commerce Product Review"
Although not a WYSIWYG platform, it's SKU management with regards to product management is very robust. 1.) The lack of intuitive behaviors that seem logical to multiple users, which aren't available. For e.g. In some sections there is "Drag & Drop" functionality, but in other sections where that functionality would make sense, that feature is disabled. 2.) Planned activities, for example, promotions or marketing changes that need to be placed on a timer for launch and de-activation, can be very cumbersome to set up. 3.) For the internationalization, you can update a banner for a French language site for example, but you cannot link it to another page, for example, it can only link to the page of the English Language site. Although, I'm a power-user, team members struggle with these tasks, which should be basic. Make sure that you not think of immediate business goals, but also long-term goals, which is a true litmus test to the scalability of the product. Position your needs with competitors that you look up to with regards to their strategy and benchmark your site with regards to your expectations of this platform. With this platform, we're solving creative, business and technical needs that ultimately leads to customer convergence. 1.) We're setting up campaigns, whether online or a part of a larger CRM strategy. Tracking these campaigns using analytics. 2.) Managing landing page content and brand landing page. the possibilities of sale increase to be able to reinvest the benefits to arrive at a wider potential client. Extends the expectations for many business models, either individually or as a support to the physical sale located in commercial spaces or establishments. IBM offers a complete solution with multiple solutions that combine to offer a complete enterprise commerce offering. Expensive. Complex. Not suited for SMB. OOTB is not useable and needs customization. Consider Smart Merchandiser or Mobiecom as enhancements. We have customized to allow marketplace functionality which supports our business model. "Helpful tool withs lots of advantages for the business"
The application is user-friendly, the employees can learn very fast how to use it and it brings lots of advantages to the business by gaining time, speed and knowledge in processing the transactions. There could be more tutorials (videos) on what other options are available to the user, that they would not be able to know forehand. By using this tool, we are able to reach more customers, process payments faster and manage our inventory better. "A mammoth product that offers lots of features which brings a lot of complexities." The Out Of the Box functionality if very complete. You have to follow IBM's methodologies to do customizations. Product update cycles for the software stack are long (ie. - at most once every 2 years). This is not a bleeding/breaking edge technology stack and the technologies can change immensely between versions. We were able to launch multiple web site stores and achieve scalability to meet customer demands. I like that it is dependable and easy to navigate for the customers. It also provides a ecommerce platform for B2C and B2B business models. At times it seems a little slow and out of date. The customers have a great shopping experience. "A platform that can grow and scale with your business's E-Commerce needs"
The product can address e-commerce business requirements of small firms to Fortune 100 firms. It is easy to integrate into our clients other business systems. It has impressive Cross-Channel selling capabilities for Retailers. It is a platform that our clients deploy and continue to build on top of to address evolving/growing e-commerce business requirements and initiatives. I don't believe IBM as yet figured out the SaaS licencing model. The solution is strong technically, but the pricing doesn't work for most of my clients. I believe IBM could do a better job integrating WebSphere Commerce and WebSphere Portal. The two products provide an excellent user experience, but the out-of-the-box integration is weak. 1) Make sure that the business (sales/marketing) and IT are working joining in the e-commerce platform selection process. 2) Try to understand and map our your 3-5 roadmap of e-commerce business requirements. Don't select a platform based on your immediate needs. Majority of our clients are Retail, so the WebSphere Commerce solution delivers increase revenue from their online channel. We have also seen increased revenue in their stores driven by their online e-commerce site (ie. buy online/pickup in store and other campaigns). The built-in marketing campaigns tools have proven to drive revenue. Thank you for your positive feedback. It is great to hear about your clients experience with IBM WebSphere Commerce. We are committed to delivering an agile ecommerce platform and are continuously taking user feedback into consideration. IBM now offers choice in deployment and pricing options to meet the needs of our clients business, from on-premise to SaaS. Please contact us for more information on our different consumption and pricing models. "Used for around 5 years. Makes life easier!" I like that the DB schema makes sense. A lot of times, I'm not sure what table something is stored in, and I immediately try the right one. I also like the REST support features. A lot of our front-end work calls RESTful web services. The custom WCF tags allow for us to convert a java object into JSON. That's VERY nice. The server loading times are HORRENDOUS! It also seems clunky when trying to debug. Sometimes it works great and other times, it has big issues causing me to have to restart my server (which as previously mentioned, takes a long while). I would refer them to the path we took for REST. We have a full online commerce site. The benefit of WebSphere Commerce is that we get a scaffold out-of-the-box with not a lot of leg work. This allows us to start the important development code first. Thank you sharing your comments and feedback. We're sorry to hear about your experience of slow server load times. IBM is committed to delivering an agile ecommerce platform that is easy to use and customize. We are continuously taking user feedback into consideration as we make enhancements to our eCommerce platform. "A good start if you are considering to move your business to Cloud (or simply start one)"
The idea into have all Commerce suite on cloud is amazing and the automatic updates are something with a great value proposition. The product needs to evolve and create a seamless experience for the store associate/manager. Deliver an ecommerce implementation faster than regular onprem IBM Commerce Solutions. Thank you for your feedback, Alysson! Great to hear you're enjoying the Watson Digital Commerce tool. Websphere is probably the most complete ecommerce platform to date. It both fits b2b and B2b2c needs and provide a very complete environment that covers most of anyone needs. It also provide an out of the box best of breed shop named "aurora" that can help build sites quickly, based on the best practices issued from their R&D. It's fast, reliable and definitely up to date regarding the modern commerce online. The most awesome feature, up to me, is most likely the "precision marketing tool" that can personnalise a page for each and every customer, allowing a commoner (non technical person) to create intelligent surfing paths and personnalisation extremely easily, very impressive and quite unique. The integration to third party tools is okay but the catalog of IBM software covers also pretty much all extra needs you can think about, PIM, DOM (order managements), tealeaf, etc. The installation is very complexe, with intricate dependencies that makes the deployment quite painful. Some of the components are "home" made kitchen rather than opensource versions, which nowadays doesn't make much sense. Also, IBM projects are often a bit complexe to handle when it comes to heavy customisation. IBM projects are not light, that said, one must not stay on the classical idea of an outdated, full of dust, product, able to scale at crazy prices and bringing together a herd of side products. The actual Aurora default shop is a perfectly thought and complete one, allowing project leaders to quietly step from one need to another. The product can match pretty much all needs. The omni channel is fully supported and well implemented, the tools used to customise the contents to every and all clients is brilliant, allowing for better conversion rate and more precise guidances of the visitors. Constant evolving of software to accommodate the latest in consumer feedback. Every feature we have discussed adding in our monthly tech meetings have been included in the future releases. The new search features added have been extremely comprehensive and useful ito fit the extreme customization needs of various clients and customers. Still customizing search. We are constantly evolving to match consumer needs, therefore we encounter countless problems that the customer requires. Anything new that the client has encountered with other products online, we are required to integrate fast and develop a competing product. We have so far managed to do that with IBM websphere commerce, but some customizations and out of box developments have been necessary, which Websphere Commerce should include in teh future. The benefits include ease of use. "good inclusion of cognitive capabilities"
Hi Pragya! Thank you for your feedback. We're continuously updating our Watson Commerce offerings to include insights like yours for all of our customers. The fact that it is plain and easy to use. There should be more uses or ways to get to certain areas. Thank you for submitting a review. Can you explain more about what uses you'd like to see so that we can take your feedback to our development team. I really like the CMC for business users. Of all eCommerce Web Platforms that I have worked on, the CMC offers the best experience for business users. The UI is very user-friendly and the overall functionality that is exposed to business users through the tooling is very good. The lack of a robust content management system is lacking. WWCM is not a very strong CMS. I often times worked on projects that leveraged Alfresco because the capabilities within WWCM were not strong enough. Primarily trying to solve the problem of scalability. Most of the clients that I have worked on, have had issues where their current platforms were unable to support their growth and expansion within their online channels. The biggest benefits realized have been around business user management of the site. Scalability because you can enable multiple features across unique modules, bringing the most popular eCommerce site features you usually need in your storefront. Flexibility because it can tie into a complex backend. The app suite is quite heavy and recycling the server takes a hot second. The service layer adds a level of complexity that requires a development team a few days to get acquainted with. Luckily there's quite a bit of documentation available. Electronic ordering / part replacement. Navigation for users is simple which increases user satisfaction. "Managing our end customer experience & setup's." IBM Websphere is extremely flexible on how it can integrate with our back end system. We are able to create a better customer experience due to the software. IBM Websphere has a ton of features - which can sometime be overwhelming. Training is a must to make sure you get the things done. Make sure you get training from someone very knowledgeable. 24/7 access to our customers for electronic ordering. Flexible displays and features to make navigation easy and customer satisfaction high. Hi Emma! Thanks for sharing your feedback on IBM Digital Commerce. We always appreciate hearing positive thoughts. "A powerful, flexible eCommerce engine for mid to large-sized enterpises"
The scalability and configurability of the product allows a wide range os use cases. The administration and business user interfaces are sometimes clunky, only support IE browsers, and have a steep learning curve. Find a good integrator who will work to build your infrastructure and your site, train your business users appropriately, and provide ongoing support as needed! WebSphere Commerce allows B2B and B2C storefronts to be stood up on a relatively short timeline. The stability of a multi-node deployment allows for high uptime. "Quick response time, easy to install. " When we have issues with them, they are quick to respond and give us solutions to fix the issues. The issues. Two of our registers for some reason short each other out every year. Not sure the reason though. Tooling provided to business users and easy with which they can work out IT support team. work spaces really help business in updating the changes. Frequently changing architecture and making developers life a hell. I would like better documentation. It is very easy to integrate commerce with other payment systems because of plugins. Easy to publish complex retail business models. websphere commerce provided direct integration with sterling OMS which is smooth integration and it provided integration features with other OMS tools. Not pretty good on mobile space like other tools. IBM should agressive on enhancing WC competing other products that are occupying the retail space. On time support from IBM. Overall features. We appreciate your feedback and comments. The overall user experience is always a major focus for us as well as offering seamless integrations with other Commerce offerings. We have made significant improvements to mobile, WebSphere Commerce can recognize the buyers' device type and screen size, automatically optimizing content on their device. With responsive design, business users no longer have to manage individual stores for each device type and you can take advantage of location-based services to target mobile customers with personalized content and offers. We also provide reference code for use with IBM Worklight - our mobile app development platform. With Worklight you can develop a single application and deploy and manage it across many platforms and devices. "6 years and counting using Websphere"
I like the easy of use other programs I have notice have been alittle more difficult. Giving ease of use to our customers by the editing of our B2B website and giving them a functioning website. It easy to update once the site is made and is easy to maintain with the information inputted. "Only machines I've ever worked with"
Theyre the only machines, to my knowledge I've ever worked with. System seems reliable and very well managed. The systems would occasionally have bugs or mess ups which would slow down business and cause irate customers. It makes the work days seem a lot smoother and easier. Hello! Thanks for sharing your feedback. Which IBM products are you currently using today? * We monitor all IBM Digital Commerce reviews to prevent fraudulent reviews and keep review quality high. We do not post reviews by company employees or direct competitors. Validated reviews require the user to submit a screenshot of the product containing their user ID, in order to verify a user is an actual user of the product. Hi there! Are you looking to implement a solution like IBM Digital Commerce?